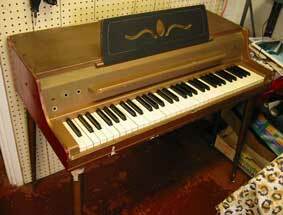 Vintage classic electric pianos and keyboards restored by Electronic Edge Vintage Keys. 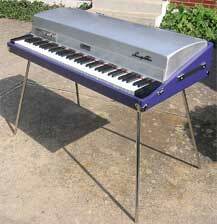 Please note, we now work on Fender Rhodes and Hohner Clavinets only. 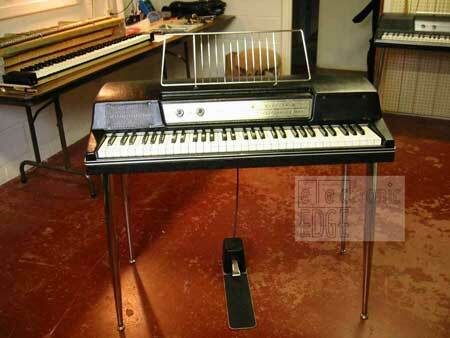 We no longer work on Wurlitzer's or other keyboards. ALL ITEMS ON THIS PAGE WERE SOLD PREVIOUSLY, OR WERE/ARE OWNED BY THE CUSTOMERS. 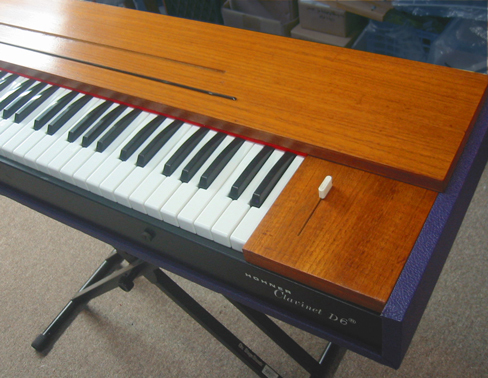 All photos on this site are copyrighted by Electronic Edge Vintage Keys and cannot be used without permission. in the Souljazz Of Fortune band. 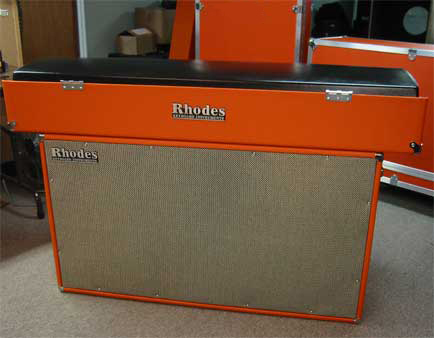 A customer wanted this Rhodes Suitcase 88 decked out in orange. Click on the image for more photos. 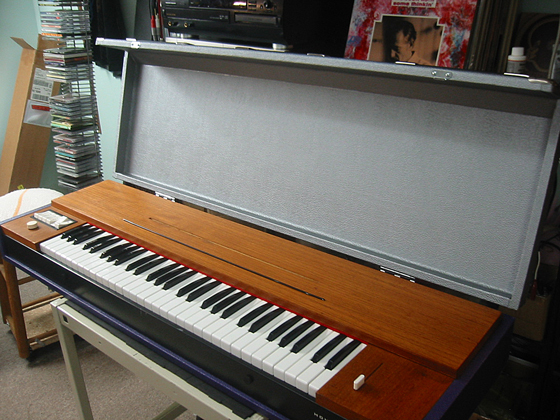 Custom Rhodes Stage 73, featured in the September 2003 issue of Keyboard Magazine! 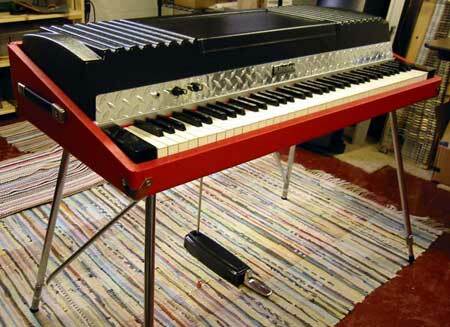 http://www.keyboardmag.com Click here for all the RED HOT details and photos. Stage 73, now in Italy. Click photo for before and after photos. 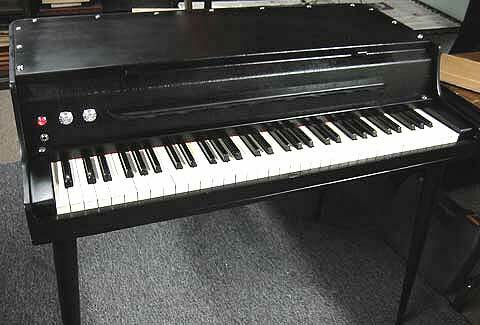 The Rhodes™ name and logo are registered trademarks of Joseph A. Brandstetter. 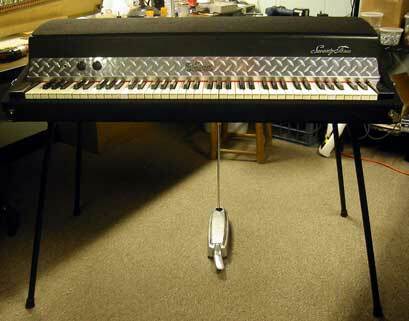 Fender Rhodes Stage 73, in the Netherlands. 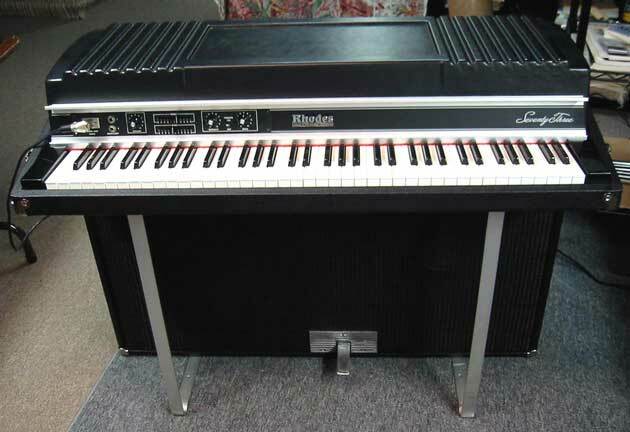 Rhodes Stage 73, in New York. 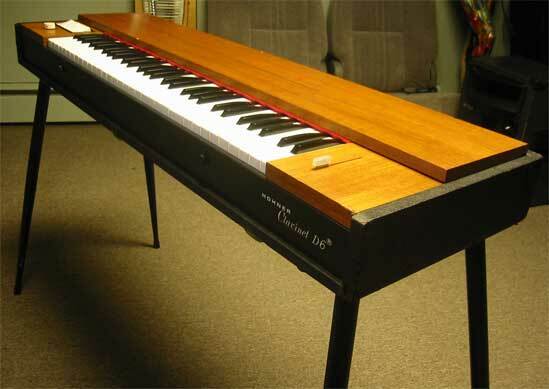 Rhodes Stage 73, in a recording studio in Ohio. 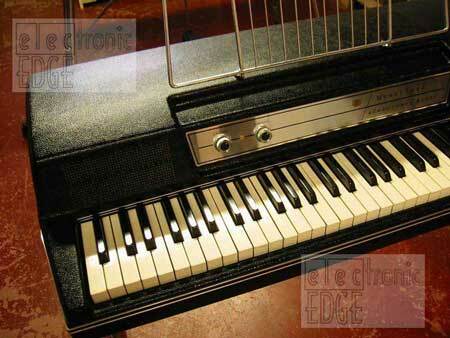 Wurlitzer 200A—for Rob Coombes in Supergrass. Suitcase 73—click for larger before and after images. 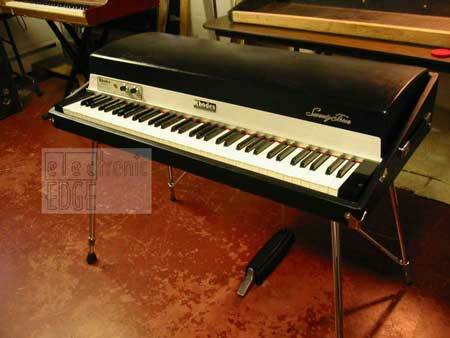 Wurlitzer 200, in a recording studio in Ohio. 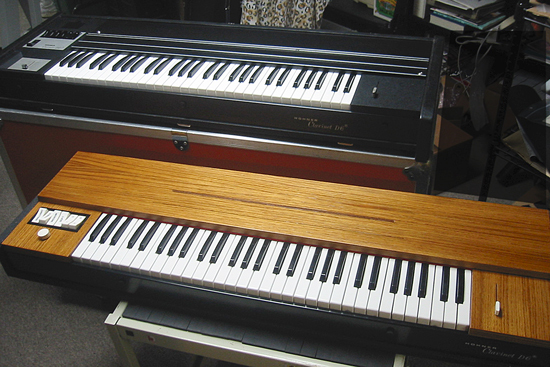 Wurlitzer 140, before and after. 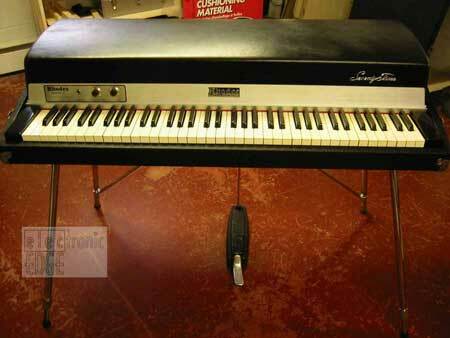 Fender Rhodes Silver-Top Bass, before and after. 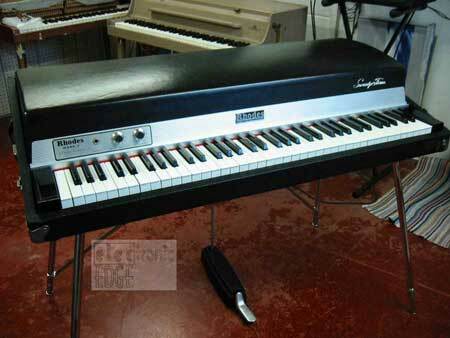 Electronic Edge Vintage Keys can service (repair, customize, restore or tune) your Fender Rhodes or Clavinet. We also sell some parts. Tuning and all services, on-site or in-shop.